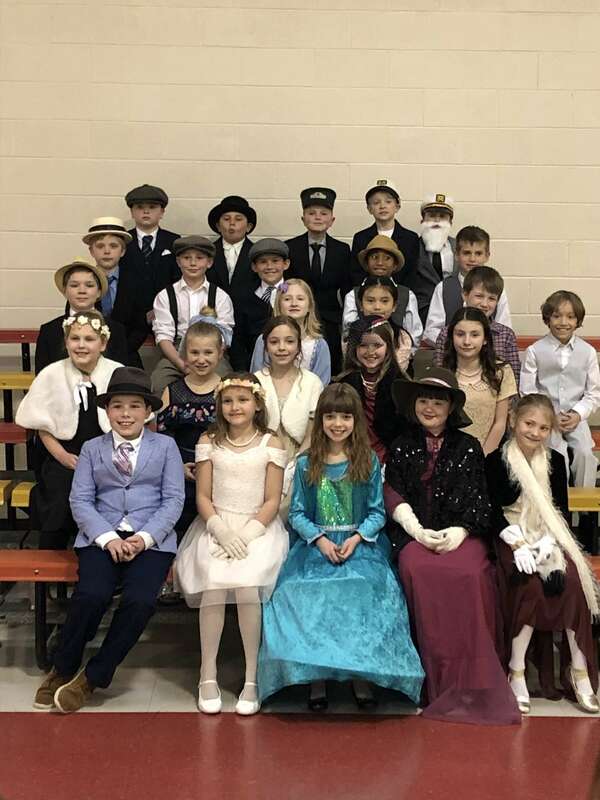 Our 3rd graders had a wonderful Titanic Day today! Thank you to all of our parent volunteers, and especially Mrs. Adams and Mrs. Van Erdewyk, for making this such a fun and educational day for the students...one we know they won't ever forget! 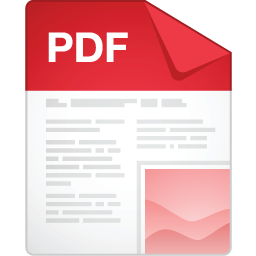 SIAC (School Improvement Advisory Committee) - will be meeting on Wednesday, April 17th at 5:30 PM in the school media center. We are looking for committee members. If you know any high school students, we would love their input as well! Please email aconlon@stmatthewcr.org to indicate interest in either of these opportunities and/or any discussion items. Thank you for prayerfully considering this opportunity and becoming involved. We look forward to seeing you all at Palm Sunday mass this weekend. 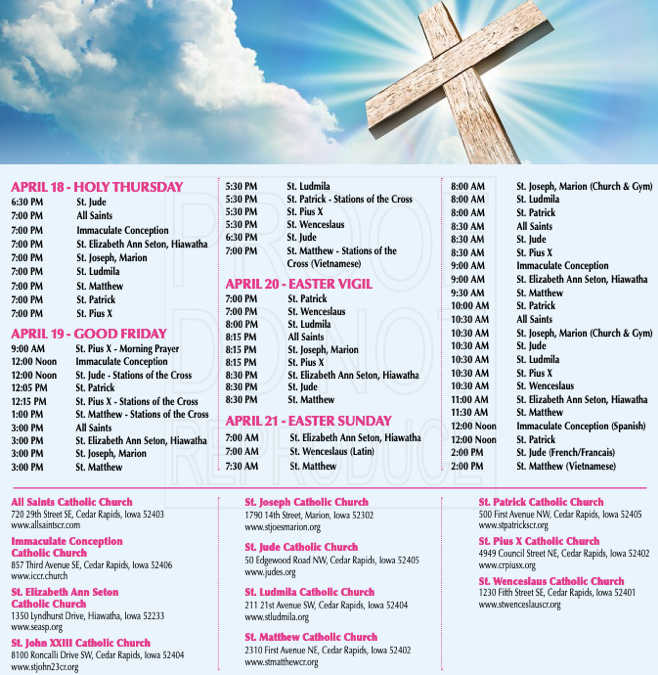 Included in the picture at the right is a list of all the Mass times for the Catholic churches in Cedar Rapids during Holy Week and for Easter Sunday. You will also find the address of each church. Holy Week is the annual Christian observance commemorating Jesus' last week on earth and the events leading up to his resurrection on Easter Sunday. Did you know that Holy Thursday is just the start of a 3 day liturgy called the Triduum which continues through Good Friday and Holy Saturday (Easter Vigil)? 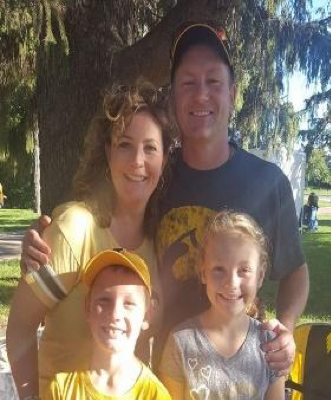 Congratulations to the our April staff member of the month…….Shelly Adams. 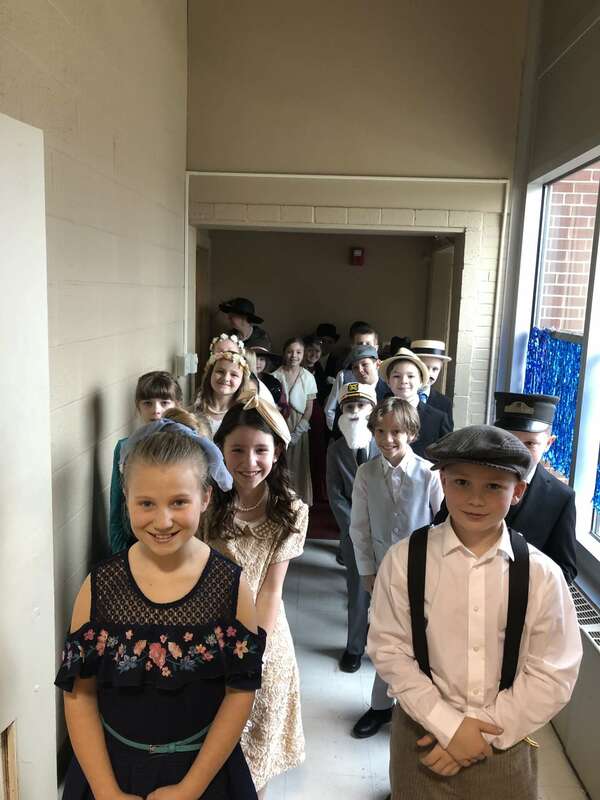 For the 6 weeks, Shelly has been working very hard with the 3rd graders to prepare them for today, Titanic Day. What an amazing event, which is a result of the many hours that Shelly puts into lesson planning and instructing students. Thank you Shelly! We are looking for a few more volunteers to get their feet washed on Holy Thursday during our Mass of the Lord's Supper at 7pm. Jesus washed the feet of his 12 apostles before the Last Supper to show how they are called to serve others. Like the apostles, we are also called to serve others. Please email Kate Tyler at Ktyler@stmatthewcr.org to be among those who will have their feet washed. Make your back to school prep that much easier this fall by placing and order for your school supplies now. First Day School Supplies is on online school supply company that has put together custom supply boxes for St. Matthew School students. You can find out more and Order Here! With the warmer weather finally upon us we are getting ready for the 4th and 5th Grade Spring Music Concert. The concert will be on Tuesday, May 14 at 7:00 PM here in the St. Matthew Gym. Students will be expected to arrive at 6:45. Students should plan on wearing dress code or better, remembering that we will be dancing, playing buckets, as well as singing. The 5th grade band will also be performing that evening. The concert should be done by 8:00. We cannot wait to show you what we have been working on this semester in music class. Many of the students have also spent some extra time working on additional music skills for small groups. Being part of a performance is one of the National Standards that we are blessed to be able to support here at St. Matthew. “I believe in the St Matthew community. It's important to give back to the community. I believe in the teachers. Our children need to know the teachers and staff of St Matthew are extensions of their parents. Our teachers need our support to care for, to teach, and to nurture our children. Volunteering lets our children see that school and this community are important. I want to get to know the teachers, the children, and other parents. I'm entrusting my children to the ideals, hopes, and etiquette of this community, I need to be a part of that. I feel it is my duty to assist anywhere I can. The students probably just think of me as the jerk in the lunchroom that makes them say "please" before I help them, but we are responsible to hold our children accountable. We can't just hand our kids off to the school and expect the school to teach and fix everything. We parents need to be a part of the process. I know it is strange to think about 2019-2020, but I wanted to share with you the amazing opportunity you have with 1st Day of School Supplies. I have used this service as a parent of a student at Regis and it is phenomenal. Now, I am totally the person who does not look forward to back to school shopping, but seriously, the ease and convenience of this service, accompanied by the great supplies is outstanding. Please consider this as it now only helps you, but also a portion goes back to St. Matthew! In PE, we have a lot of exciting things to look forward to. Next week we kick off our Kid Heart Challenge, formally known as Jump Rope for Heart. Our 3rd-5th graders will be coming home with coupons to fill out to raise money for prizes. The younger classes will be working on our jump rope skills as well in order to be able to get ready to participate in the future. We also have fitness, kicking, and striking units coming up along with preparing for Rainbow Day fun! I am excited to be able to use the nice weather to hopefully play activities and games outside in the near future. Have a great weekend! As always keep on smiling and getting your sweat on!